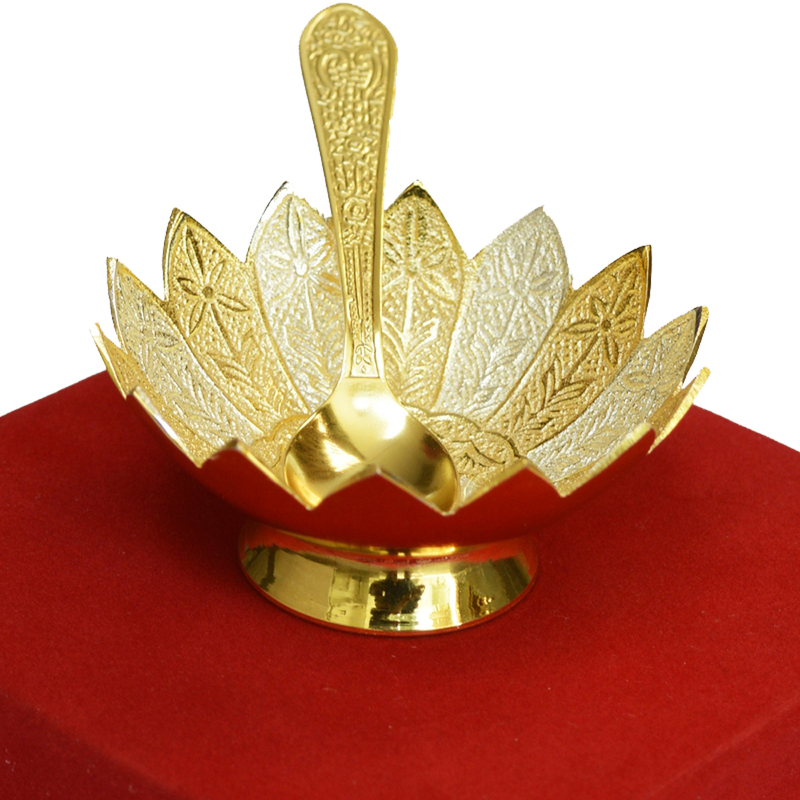 The Gold & Silver Lotus Shaped Bowl with Matching Spoon Set is bound to demand more attention than the food served in it from any Read More..person beholding it. This is because of the dazzling combination of gold and silver on it, which is enough to make it the cynosure of all eyes in its vicinity. Therefore, it is ideal for buyers looking to make a bold and admirable style statement regarding tier choice of cutlery, while reflecting their sense of aesthetics positively. Show Less..